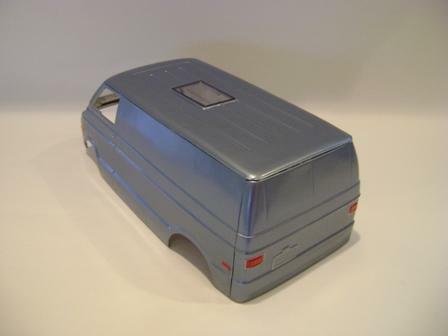 If you'd like your aluminum body in the gallery, contact me. 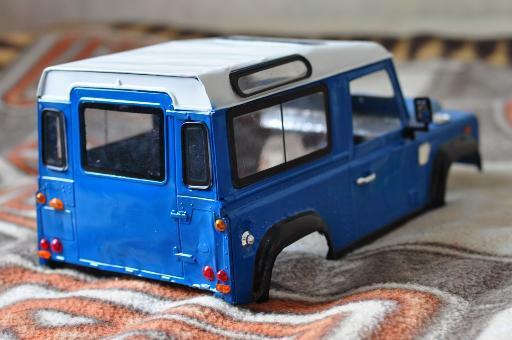 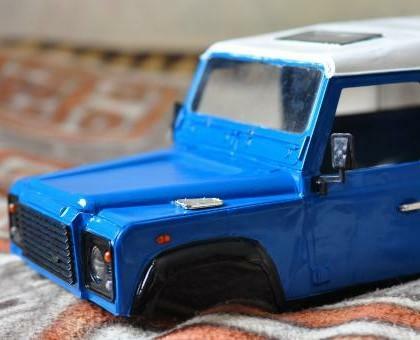 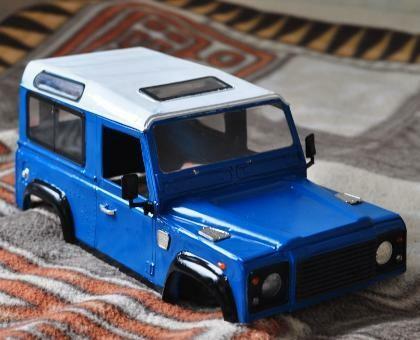 These pictures are of Land Rover Defender VIN A46SH037, which was purchased by an RC enthusiast in Russia. 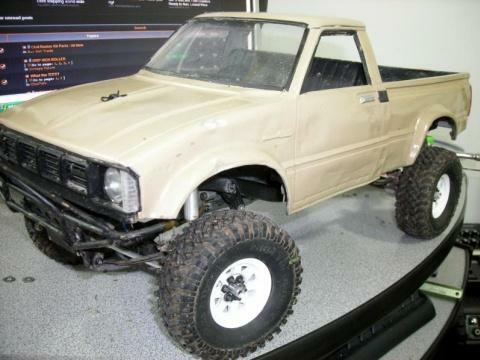 He used Tamiya white primer and simple nitro paint aerosols from the nearest auto paint shop. 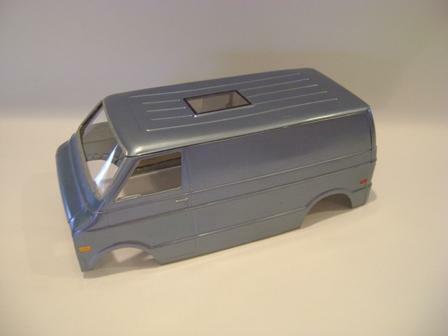 Some details were taken from a plastic toy Defender and the body was reinforced on the inside with styrene rods and armored tape. 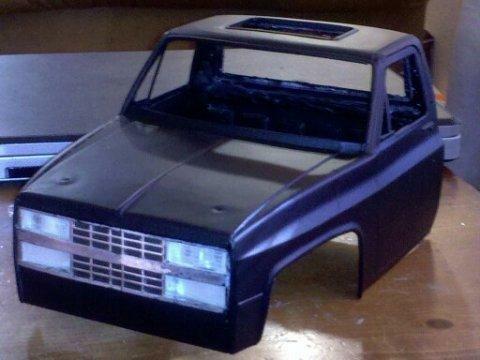 He will be adding an interior soon and mounting it to the chassis, GREAT JOB! 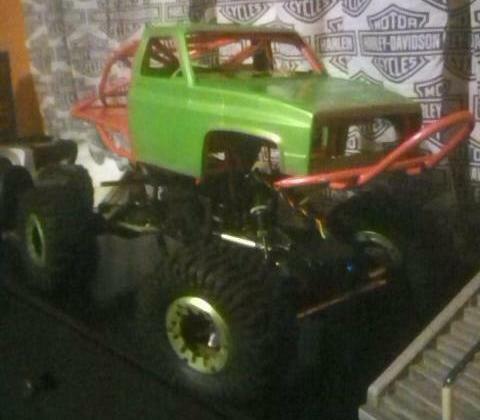 These pictures are of Willy's Flat Fender VIN A51HN043, which was purchased by an RC enthusiast in Massachusetts. 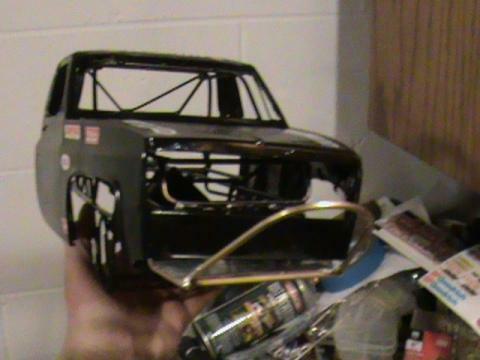 The body is on an AX10 chassis with Wheely King axles. 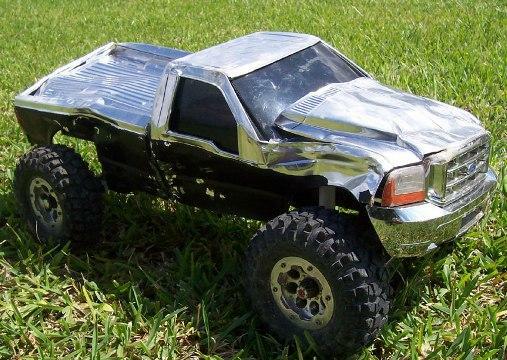 He added some aluminum angle and Delrin crossmembers. 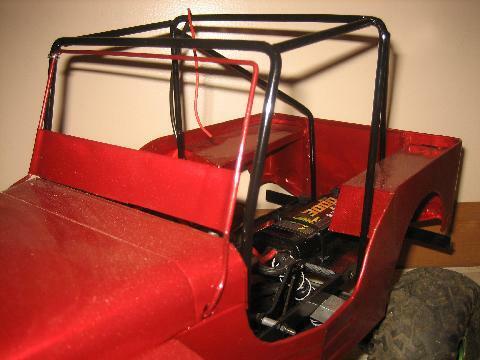 The body is mounted front and back to Delrin and at lower fender extensions to some aluminum frame outriggers that also support the front hoop of the cage. 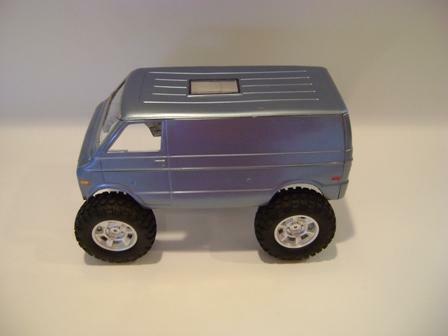 All bolted construction. 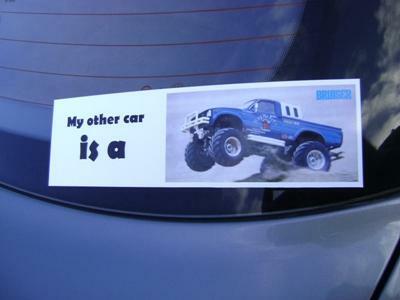 Another Excellent example! 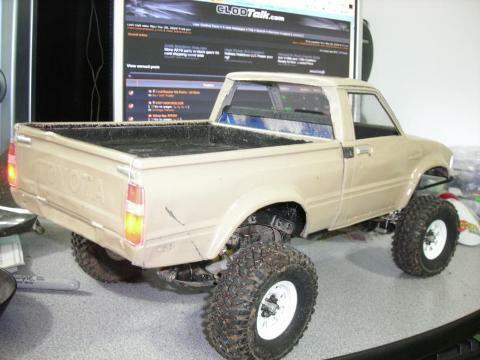 These pictures are of Clodbuster Truggy Cab VIN B03HF003, which was purchased by Tim and Rob in Nebraska. 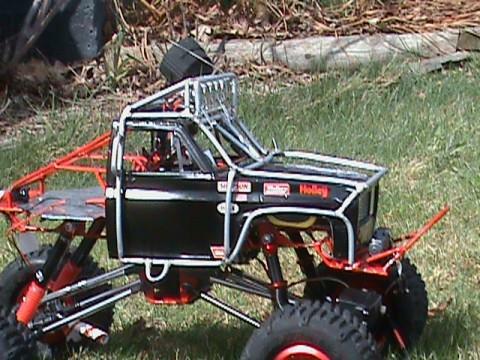 The chassis is a Venom Creeper with a with a custom built cage using copper tubing, an RC 4WD ESC, 11.1 lipo and 208oz servo. 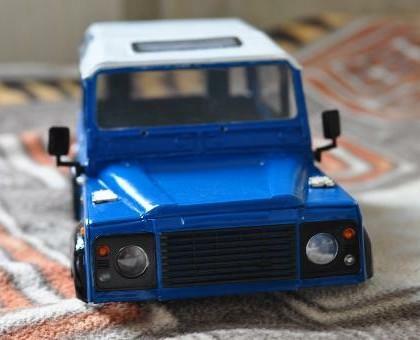 They've named their crawler Mr. 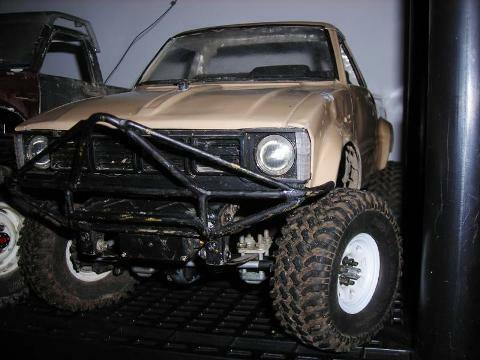 Nasty, and it looks like it's ready for some serious trails. 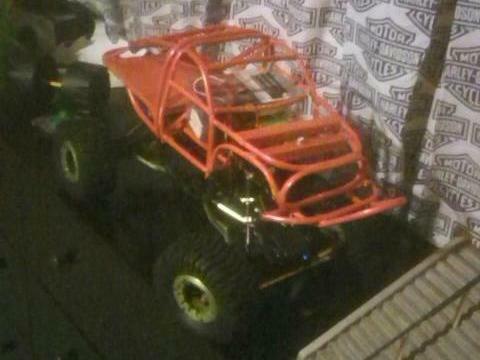 Thanks for the contribution guys, another great body! 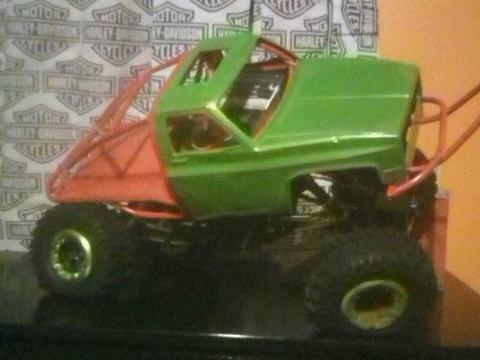 This Clodbuster Truggy Cab VIN B10HF020 was purchased by an RC enthusiast in Wisconsin - looks great! 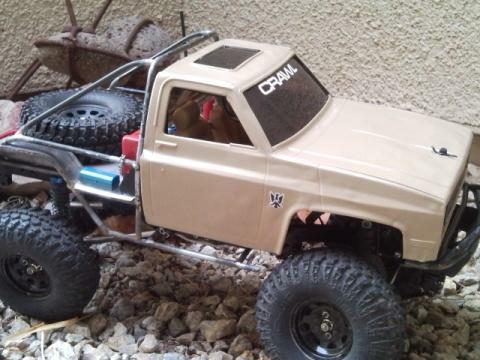 This Clodbuster cab VIN A51HF047 was purchased by an RC enthusiast in Phoenix, AZ. 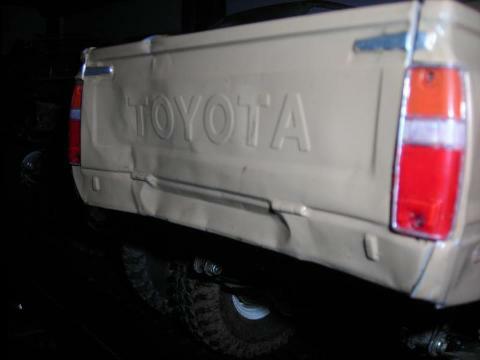 The hood and sides were reinforced with some thin styrene. 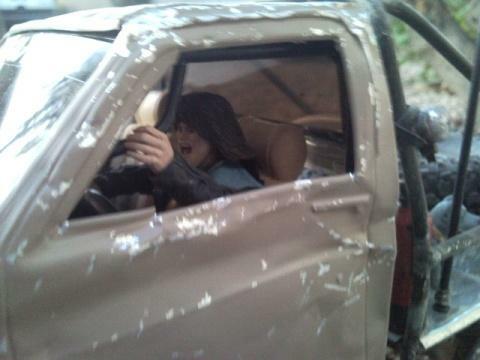 I gotta say, I love the pics with body damage, NICE! 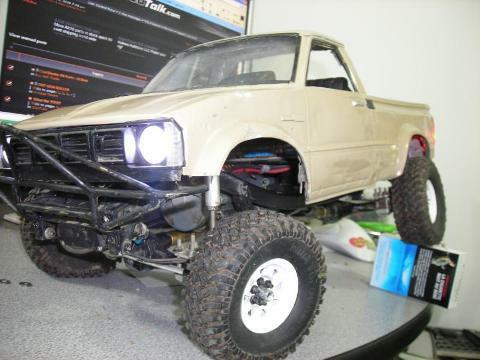 These pictures are of Darrin's Hilux body. 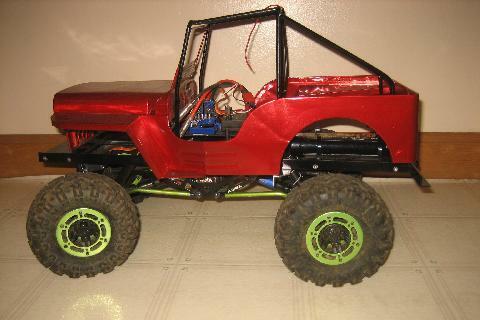 It's sitting on a bruiser chassis sporting the original driveline with mods to the steering servo location up front, narrowed rear axle, custom front and rear shock mounts, modified leaf mounts, it's running RC4WD 1.55 rims and RC4WD mud thrashers. 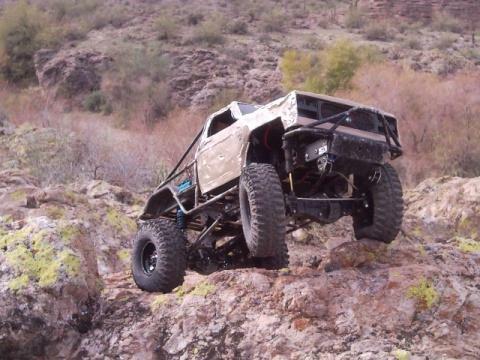 More great pictures of a rig that has seen some trail time! 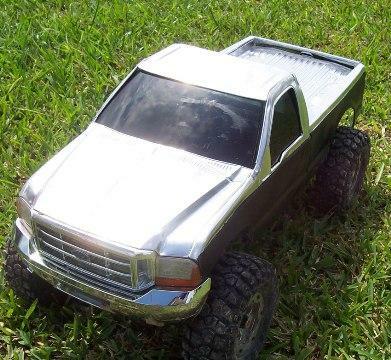 These pictures are of the F-350 body that was donated for a review. 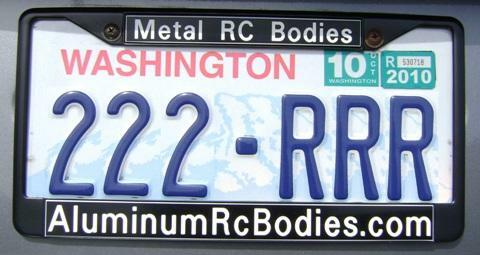 It was one of my earliest bodies, was made before VIN's were assigned and was made from standard duty 0.005" aluminum. 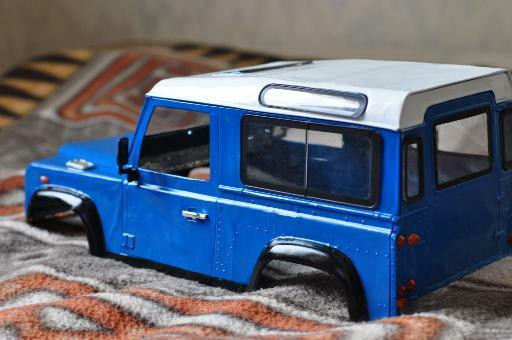 The reviewer did some reinforcing and joined the cab and bed together. 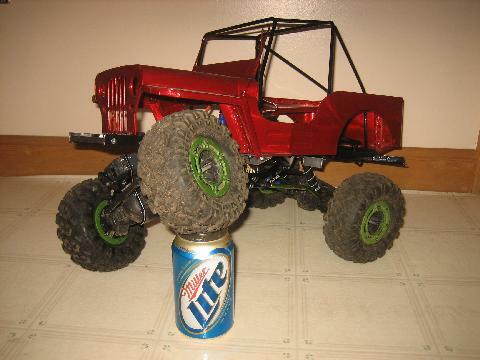 Models and RC are my passion!